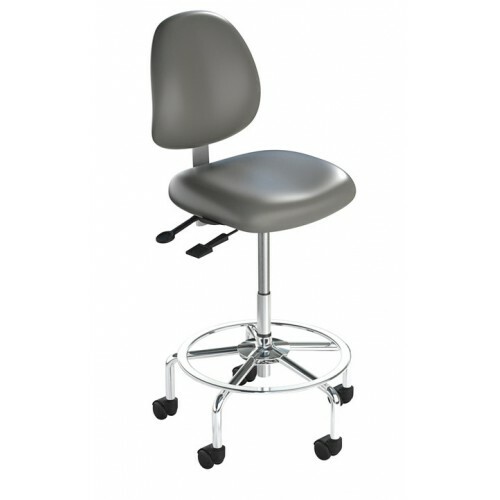 The Laboratory Stool is designed to support the tasks required in a laboratory environment while increasing comfort, health and productivity. 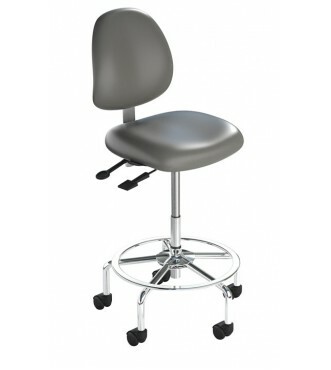 The Laboratory Stool is designed from top to bottom to be easily cleanable and easily sterilized. The plastic back cap provides additional durability and cleanability. The stool’s optional IC+ upholstered backrest and seat pan is seamless and the seat pan is completely sealed underneath. Made from the highest quality materials and components, the Laboratory Stool is backed by a comprehensive warranty and is GREENGUARD® certified.